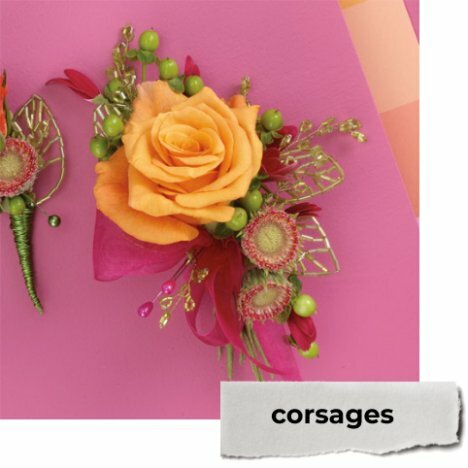 You can make your own wedding flowers! 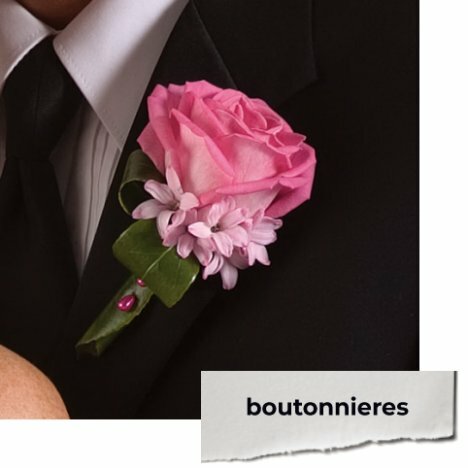 I have created many step by step flower tutorials for bridal bouquets, corsages, boutonnieres and church decorations. 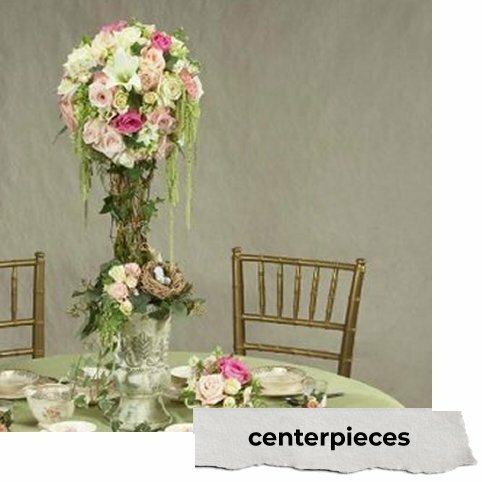 You (or your friends) can learn how to make reception centerpieces that will wow your guests and win you compliments. Most important - you'll save lots of money by rolling up your sleeves and putting in the labor. Brides are sometimes under the impression that fresh flowers have to be designed at the very last minute or they will die before your wedding day. Not true. 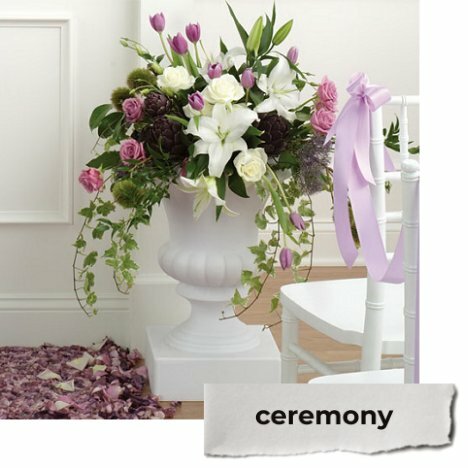 Over my career as a professional florist, I have created many beautiful wedding flowers right out of my home. 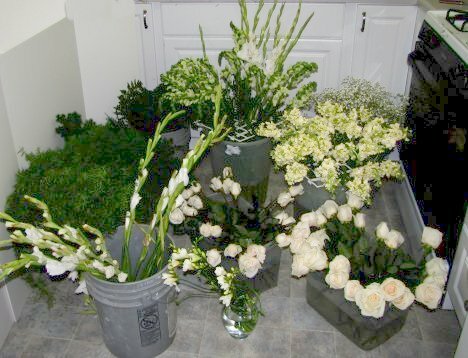 Although florists have the convenience of large storage coolers, fresh flowers are cultivated to last a long time in normal temperature settings. Believe it or not, this was enough flowers to create bridal bouquets, corsages, boutonnieres and very large church decorations! 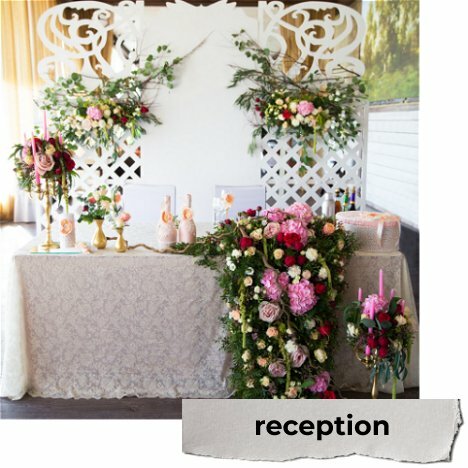 Obviously you must have enough space to store the finished wedding flowers - but I explain it all in great detail how to process your flowers upon arrival, treat them with the professional florist supplies that will extend their freshness and even show how to pack your bouquets for delivery! Do I become stressed if everything is not absolutely perfect? Do I have enough time set aside to make flowers in the week before the wedding? Do I have plenty of help to call on? Do I have a cool storage area (away from heat and light)? Do I have a large enough area to set up tables and buckets near a water source? Do I have access to vehicles for delivery? Do I want to save money and still have fabulous flowers? During my time in a professional flower shop, I had many responsibilities. Not only did I create the flower designs, I also went out and serviced many of the weddings, staying long enough to place the flowers, decorate head tables, place fresh flowers on wedding cakes and pin all the corsages and boutonnieres. 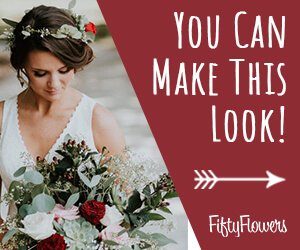 As the bride, you can certainly participate in the "before the BIG DAY" fun of creating your wedding flowers, but you will be way too busy on the day itself to oversee flower setup and flower delivery. I suggest you browse through most of the tutorials, considering not only the design, but determining the amount of time needed to create simple table arrangements to large impressive designs for the church. (Hint: bigger doesn't necessarily take more time - except in working out the delivery. Hand work, (such as corsages and boutonnieres) actually take floral designers longer than some very large urns! 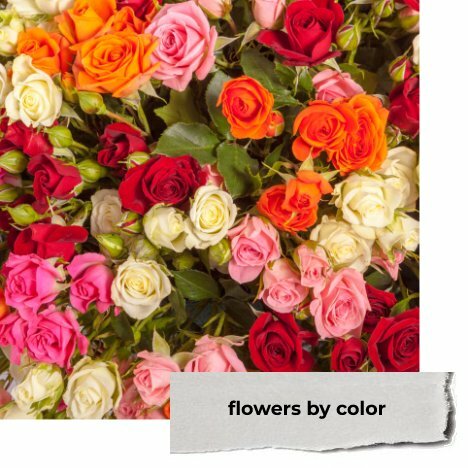 I first began this site only intending to sell a few professional florist supplies that are essential to flower design and let the "wholesale" flower websites sell to my visitors. I began dismayed, however, when I browsed the sites and discovered how misleading they are on actual flower costs and ordering requirements. Just because a site claims to be selling at "wholesale" . . . don't believe it without some deep comparison shopping. Many of the popular sites require their customers to buy in large quantities (like a wholesale distributor) . . . but sadly are not really selling at a true wholesale price. They are simply "cutting out the middleman" to secure the entire profits for themselves. Another sneaky move is to advertise something as a "grower's bunch" when they have actually cut down the number of stems in a true grower's bunch. I notice this mostly in greenery. For example, my bunch of leather leaf fern usually has between 18 - 25 stems of ferns. 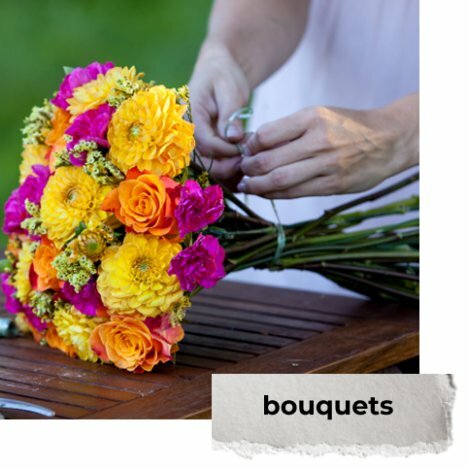 Another popular "wholesale flower" site sell in bunches that have only 10 - 15 stems. Their $64.99 cost for five bunches averages out around $13 per bunch. This gets you about 60 stems of leather leaf. On the other hand, I sell leather leaf that is usually 18 - 25 stems per bunch and allow you to purchase in single bunches. (I actually have a tutorial where I show doing five bouquets for one single bunch of leather!) This means you get approximately 22 stems for the retail cost of $8.99 (not $13.00) per bunch - and you get more stems! I don't advertise free shipping - but I believe their shipping costs are more than built in for the extra money charged! I rarely see a wedding that the bride needs 5 - 10 bunches of every flower and greenery she wants to incorporate into her wedding flowers. She ends up settling rather than buying what she doesn't want or doesn't need. 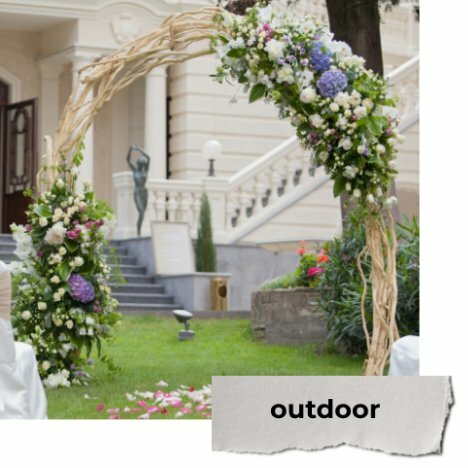 Variety of both flowers and greenery adds a lot of interest to wedding flowers. Greens are typically cheaper than flowers (anyway . . . that's the way it worked in my shop!) 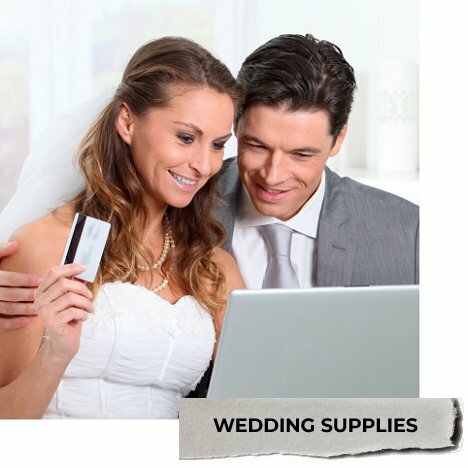 and are used to stretch wedding dollars - not add in ridiculous costs. Anyway . . . let's move on and learn how to design beautiful wedding flowers!